As someone who deeply appreciates what Western civilization, for all its faults, has achieved, I puzzle over the hostility many Westerners harbor toward their way of life. If democracy, free markets, and the rule of law have created an unprecedented stability, affluence, and decency, how come so many beneficiaries fail to see this? Why, for example, does the United States, which has done so much for human welfare, inspire such hostility? And tiny Israel, the symbol of rejuvenation for a perpetually oppressed people – why does it engender such passionate hatred that otherwise decent people desire to eliminate this state? 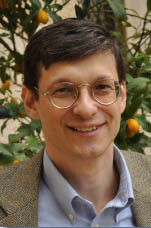 Yoram Hazony of the Shalem Center, Jerusalem. Yoram Hazony of the Shalem Center in Jerusalem offers an explanation for this antagonism in a profound and implication-rich essay, "Israel Through European Eyes." He begins with the notion of "paradigm shift" developed by Thomas Kuhn in his 1962 study, The Structure of Scientific Revolutions. This influential concept holds that scientists see their subject from within a specific framework, a "paradigm." Paradigms are frameworks that underpin an understanding of reality. Facts that do not fit the paradigm are overlooked or dismissed. Kuhn reviews the history of science and shows how, in a series of scientific revolutions, paradigms shifted, as from Aristotelian to Newtonian to Einsteinian physics. Paradigms also frame politics and Hazony applies this theory to Israel's delegitimization in the West. Israel's standing has deteriorated for decades, he argues, "not because of this or that set of facts, but because the paradigm through which educated Westerners are looking at Israel has shifted." Responding to the vilification of Israel by offering corrective facts – about Israel's military morality or its medical breakthroughs – "won't have any real impact on the overall trajectory of Israel's standing among educated people in the West." Instead, the latest paradigm must be recognized and fought. The fading paradigm sees nation-states as legitimate and positive, a means of protecting peoples and allowing them to flourish. The treaty of Westphalia (1648) was the key moment in which the sovereignty of nations was recognized. John Stuart Mill and Woodrow Wilson endowed the nation-state ideal with global reach. That paradigm, however, "has pretty much collapsed," Hazony asserts. The nation-state no longer appeals; many intellectuals and political figures in Europe see it "as a source of incalculable evil," a view that is fast spreading. 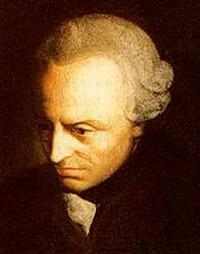 Immanuel Kant, the German philosopher, lived 1724-1804. The new paradigm, based ultimately on Immanuel Kant's 1795 treatise Perpetual Peace, advocates the abolition of nation-states and the establishment of international government. Supra-national institutions such as the United Nations and the European Union represent its ideals and models. Jews and the Holocaust play a strangely central role in the paradigm shift from nation-state to multinational state. The millennial persecution of Jews, culminating in the Nazi genocide, endowed Israel with special purpose and legitimacy according to the old paradigm. From the perspective of the new paradigm, however, the Holocaust represents the excesses of a nation-state, the German one, gone mad. Under the old nation-state paradigm, the lesson of Auschwitz was "Never again," meaning that a strong Israel was needed to protect Jews. The new paradigm leads to a very different "Never again," one which insists that no government should have the means potentially to replicate the Nazi outrages. According to it, Israel isn't the answer to Auschwitz. The European Union is. That the old-style "Never again" inspires Israelis to pursue the Western world's most unabashed policy of self-defense makes their actions particularly appalling to New Paradigmers. Need one point out the error of ascribing Nazi outrages to the nation-state? The Nazis wanted to eliminate nation-states. No less than Kant, they dreamed of a universal state,. New Paradigmers mangle history. Israelis themselves are not immune to the new paradigm, as the case of Avraham Burg suggests. A former speaker of Israel's parliament and candidate for prime minister, he switched paradigms and wrote a book on the legacy of the Holocaust that compares Israel to Nazi Germany. He now wants Israelis to give up on Israel as defender of the Jewish people. No one, Burg's sad example suggests, is immune from the new paradigm disease. Hazony's essay does not offer policy responses but in a letter to me he sketched three areas to address: building awareness of the new paradigm's existence, finding anomalies to invalidate it, and revitalizing the old paradigm by bringing it up to date. His insights are profound and his counsel timely. Mr. Pipes is director of the Middle East Forum and Taube distinguished visiting fellow at the Hoover Institution of Stanford University. ©2010 by Daniel Pipes. All rights reserved. Aug. 17, 2010 update: (1) I have gnawed away at the mystery of the Left over the past decade, writing on such varied topics as structural differences between the United States and Europe, poor Atlantic relations, opposed European and American "super-systems," the intensity of European guilt, the fear of a mythological "Empire," the mind-bending phenomenon of liberal fascism, the infatuation with international institutions, the legacy of World War I, the impact of President Kennedy's assassination, and the bias of university press publications. I have also published a small avalanche of analyses about the Left's soft spot for Islamism. (2) Note that the new paradigm applies exclusively to Western states. Syria and Iran, to take prominent examples, get a free pass; it's quite fine for them to pursue national interests in as bellicose a fashion as possible, without invoking the Left's wrath. The question of why New Paradigmers, so opposed to Israeli policies and actions, nevertheless look with forebearance on other nation-states and their doings. The related question of whether this double-standard doesn't suggest that the campaigns of vilification conducted against Israel are actually driven by a form of classic anti-Semitism. Some questions that have been raised regarding my reliance on Kuhn's theory of paradigms, and I'll use these as an opportunity to comment on what I think Jews and friends of Israel will have to do if they are to meet the challenge I've described. Nov. 14, 2010 update: President of the European Council Herman van Rompuy gave a speech on November 9 to an assembly of European leaders to commemorate the anniversary of the Berlin Wall's collapse that exactly fits Hazony's analysis. He analyzes it at "EU Council President Van Rompuy: The Time of the Nation-State is Over." One of the many errors the Founding Fathers of the euro made was to underestimate the resilience of the nation state. Yes, we live in a world in which technology, money and people flow across borders with greater ease than ever before. Globalisation makes the planet dramatically interdependent: Philip Bobbitt, the constitutional historian, has written brilliantly of the emergence of what he calls the "market state". Even so, the nation has retained much of its cohesion, its significance and its grip on popular loyalty. One of the reasons that international elites hate Israel so much is that it is the clearest and most passionate example of this durability. Jan. 2, 2012 update: At a talk of mine in Palm Beach, Flor., at which I alluded to the Hazony thesis above, James Gawron protested that Hazony and I misunderstood Kant. He today has elaborated on his critique at "Understanding Perpetual Peace." Related Topics: Conservatives & Liberals, Israel & Zionism | Daniel Pipes receive the latest by email: subscribe to the free mef mailing list This text may be reposted or forwarded so long as it is presented as an integral whole with complete and accurate information provided about its author, date, place of publication, and original URL.